Superfast 5G networks are still set to launch far earlier than expected, new research has claimed. The Ericsson Mobility Report expects the first commercial 5G networks to go live in late 2018, with the first compatible smartphones available in 2019. All major US operators are expected to launch 5G by then, while it is likely the UK will have to wait until at least 2020. 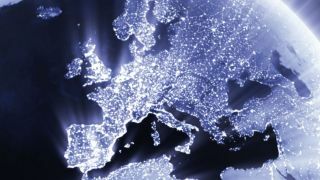 However UK users may not have the same appetite for the new networks, with the report claiming that Western Europe will lag behind North America and Asia in both 5G rollout and adoption. By 2023, Ericsson predicts there will be one billion compatible devices in use, with 5G networks accounting for a fifth of all mobile traffic and 12 per cent of all mobile subscriptions. 5G will account for half of all mobile connections in the US and a third in North East Asia, but just a fifth in Western Europe. Ericsson says intense competition and strict regulations could be a contributor to this widening gap, while others have claimed market fragmentation and a continued focus on 4G could be to blame. In the UK, operators have called for greater spectrum availability, access to dark fibre and a favourable planning and regulatory environment. At present there are 7.9 billion mobile subscriptions worldwide, with 98 million added over the past three months, and traffic has risen by more than a half over the past year. This will increase eightfold within five years, amounting to 107 exabytes a month. During the same time frame, the number of IoT connections is expected to increase by nearly a third each year to 3.5 billion, driven by large scale deployments – especially in China – and the advent of massive cellular technologies like NB-IoT. Ericsson says there are more than 60 cellular IoT networks now in operation, connecting to the same core network as 4G. In North America, industrial applications such as logistics and fleet management are the key use cases, while in China it is smart cities and smart agriculture. A separate report, published yesterday by Digital Catapult, painted a rosy picture of 5G development in the UK thanks to its startup and research capabilities. Check out the best mobile deals for April 2018!